The fate of a 15-hectare (ha) plot of land in Korba district in Chhattisgarh hangs in balance -- the question is: is it a forest or not? About three years ago, in late 2002, Maruti Clean Coal Limited was allotted this plot of land to set up a coal washery. 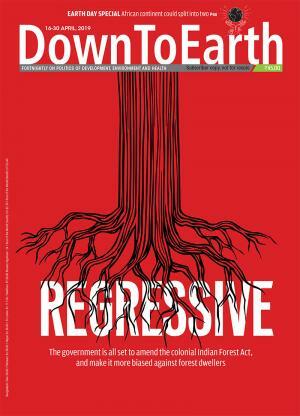 A couple of months later, in January 2003, Deepak Agarwal, who claims to be a social activist, filed a public interest petition in the Supreme Court claiming the plot was forestland and that the state government had allotted it without securing the requisite clearance under the Forest Conservation Act (fca), 1980. The judgement is awaited. The last set of hearings was held over three days between November 30 and December 2, 2005. The reason this allotment has gone to the apex court is that Chhattisgarh, with Orissa and Jharkhand, accounts for 80 per cent of India's coal reserves. The allotted plot is situated in Nawagaonkhurd, now part of Ratija village, next to Asia's largest open cast coal mines run by South East Coal Fields (secl) Ltd. Which is why a coal washery is an attractive proposition. So far only one company, Aryan Beneficiation Ltd, runs coal washeries -- and pretty much everything else -- in the area. It would stand to lose the most if a competitor entered the field. Maruti alleges that Aryan would lose up to Rs 14.2 crore per year in just one contract involving the supply of two million tonnes of washed coal to the Gujarat State Electricity Board, if its monopoly is breached. On the other hand, it has been alleged that Maruti has received undue favour from the Chhattisgarh government in expediting the allotment of land. The case is now being seen as a political tussle between Maruti and Aryan. Allegations of the petition being 'motivated' and funded by Aryan to oust Maruti are also doing the rounds. Agarwal, the applicant, whose bona fides have been questioned in court, alleged that a large number of trees were being destroyed. These trees are apparently not an isolated patch -- according to the petitioner and documents filed in court, the area allotted was found suitable by the Orange Area Survey and Demarcation Unit, Bilaspur, for notification as Andikachhar Forest Block (orange areas are lands claimed by both revenue and forest departments, and marked on maps in orange). But the job of deciding whether it is a forest has been complicated by concerns over who is saying it is a forest. After over a dozen hearings in the last three years and differing recommendations from the Supreme Court's Centrally Empowered Committee (cec), the apex court is still grappling with inconsistent information and contradicting claims. Even the definition of what constitutes a forest remains unresolved. Since 1980, under fca, any forest that is diverted for non-forest use needs clearance from the Union ministry of environment and forests (moef). What's complicated matters is that it isn't just land recorded as forest in government ecords that the fca applies to. Following the sc judgement of December1996, all lands having forest "according to the dictionary meaning of the word", regardless of ownership, will be considered forests. This was an attempt to bring more area under the purview of the fca, given the rate at which the country was losing forest cover. In this case, the problem pertains to land documents. The 23 ha that comprises Nawagaonkhurd -- out of which the 15-ha plot was allotted to Maruti -- has never been surveyed and therefore not classified. This is the state government's stand. It says the land is not recorded as forest in government revenue records since there are no records and haven't been any for over 70 years. "This is an offence under the land record code of Chhattisgarh. The annual map correction exercise in which any changes in land use are recorded does not leave any space for a piece of land to remain unsurveyed for such an extended period of time," says A Dighraskar, deputy commissioner for land records, Chhattisgarh. That the government can claim to have no records, and not hold anyone responsible for this is puzzling, he feels. Agarwal says the collector of Korba classified the area as 'grassland' only after a survey procedure was carried out between July and October 2002, though the land was already surveyed and assigned khasra (plot) numbers before, to help circumvent procedures. Maruti's application for land allotment in the beginning of July was registered on July 9, 2002. By July 12, 2002, a map of the area, with survey numbers, had been prepared by the revenue inspector, and letters inviting 'no-objection' certificates from relevant government officers had been sent out by the naib tehsildar, with specific survey or khasra numbers. 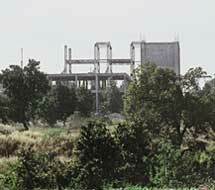 The classification also raises questions about whether Nawagaonkhurd was merged with Ratija village. The state government says it was merged in 2002, but the measured area of Ratija remained the same even after Nawagaonkhurd was formally merged, leading to the surmise that it was merged earlier, informally. The khasra number 850 of Ratija village is classified as forest. In Nawagaonkhurd, where the new survey numbers are, all subdivisions of this number (that is, 850/23 to 29) were merged into Ratija before 2002. This means Nawagaonkhurd, too, is forestland. The state government's forest department records paint another picture. A report prepared by the forest range officer, based on an inspection by the patwari and the forest beat guard, concludes the area comprises "sal mixed chhote/bade jhar ka jungle " in July 2002. In another document, the preliminary survey report of the orange area unit, 15.26 ha of the total of 23.6 ha of Nawagaonkhurd was included as part of a proposed Andhikachhar forest block. This report states that the area has mixed forest of medium density, and a history of the forest block prepared in 1998 includes a description of the area allotted to Maruti. However, the Chhattisgarh government refutes the validity of these documents to prove it a forest, claiming the proposal of the orange area unit was never notified. cec in its first report originally accepted the orange area survey report. It said despite the fact that a notification showing the area was a notified reserve forest or protected forest was not available, this area was continuously being considered by the Chhattisgarh forest department to be a forest. The report cited the letter of the divisional forest officer (dfo), Katghora, which clearly mentioned that the land fell under the bade jhar/chhote jhar ka jungle classification and contained about 200 trees per ha. The cec recommended that the land allotted to Maruti should be treated as forest under fca. Chhattisgarh and Maruti would therefore need to seek Centre's approval to set up the coal washery plant. All construction was to be stopped until this clearance was obtained. However, when Maruti and the state claimed that no blanket notification for Bilaspur district could be located, cec changed its stand in its second report, saying it accepted the contention of the state that the land was not forest. "The orange area proposal refers to a document, a blanket notification issued in 1949, which does not apply to the area," says the present collector of Korba. Sudiep Srivastav of the Bilaspur Environmental Society (bes), which has been helping the applicant, questions the logic: "Does the fact that there is no notification have anything to do with the reality that the area was surveyed by the orange area unit and found to be a forest worthy of being included in its proposal? Does that make it any less of a forest?" bes got involved in the case after cec's second report, fearing that this situation was indicative of the modus operandi of the state -- using loopholes to allot land to industry. It got the Regional Remote Sensing Service Centre (rrssc), Nagpur, to do a study based on satellite imagery to show the change in forest cover since January 2002. The Supreme Court found that the satellite data showed the land was indeed forest and directed cec to file a fresh report with the help of the Forest Survey of India (fsi) and rrssc. In April 2005, cec members along with fsi officials visited the site to fix the coordinates needed to locate the area on satellite maps and submitted a third report, saying the fsi satellite studies corroborated its second finding that the land was not forest. This report led to a further controversy, with the applicant alleging that cec had been less than honest in its report. Agarwal, helped by bes, gave a number of reasons for objecting to cec's third report, which was filed on April 14, 2005. One, since it was a question of classification, the study should have been done khasra -wise, he says. Instead, the fsi report only took the actual allotted area into consideration. This allotted area falls on plots on either side of a road. Khasra 850/23, north of the road, of which only a part was allotted to Maruti, has better forest cover. His allegation is that the government not only didn't take the entire khasra into consideration, but added an extra 3 ha to the allotted 15 ha, which included the road (that obviously had no forest) and some area south of the boundary. This resulted in a lower forest cover since at this level even 3 ha of non-forest could skew the picture. There are questions of timing and resolution technology also. While government records and satellite imagery could reveal the land use change and show whether the plot was a forest or not, there is also the option of physical verification of the site. Despite the fact that the land was allotted in 2002, and trees had been felled, a number of attempts were made to count the number of trees standing in the plot. For this, the prevalent thumb rule of 200 trees per ha was supposed to be used. But it is probable that a count of each and every tree was attempted. When foresters use the 200 trees/ha rule, they rarely count the trees. "Forest officials are experienced enough to be able to make out approximately how many trees there are and if this constitutes a forest," says Sirish Agarwal, chief conservator of forests (land management). The standard practice is to take sample plots and extrapolate the data. In accordance with the Supreme Court order of 1996, the government of Madhya Pradesh (of which Chhattisgarh was a part till 2001) issued a circular in January 1997 to which it added a thumb rule for defining a forest. It said that a compact block or chak of land of 10 ha or more with an average of 200 trees per ha was to be treated as forest. Information regarding such areas in lands outside the control of forest with standing trees as well as degraded, denuded or cleared forests was to be collected within two months. A number of enumerations were conducted. The first couple of reports relied on visual estimates, but after the dfo pointed out that the land in question was forestland, the collector ordered a re-enumeration. This enumeration said the number of trees in the 15-ha land was less than the required 200 trees/ha to qualify as forest, creating another controversy. A difference of opinion between the state revenue and forest department has complicated matters. The latter claims the plot as forestland, on the basis of an inquiry ordered by chief minister Raman Singh following complaints he received from the ex- mla of the area, Banwari Lal Agarwal. Harish Tiwari, the state's chief conservator (land survey), who conducted the inquiry believes the area to be forestland, both on the basis of a site visit and forest records. Interestingly, until this latest inquiry, backed by the present principal chief conservator of forests (pccf), there have been differing opinions within the forest department. In the course of three years there have been three different heads who have taken contradictory stances. The pccf strongly supported the view of the state government that it was not forestland and was backed by Kaushalendra Singh, the conservator forests, Bilaspur circle. Deepak Shrivastava, deputy conservator of forests of the regional office of moef, visited the site and said in April 2003 that the land was forest. Singh, along with two others, was part of a committee constituted by moef to conduct an inquiry in June 2003. D V Negi, chief conservator of forests of the regional office of moef in Bhopal and the head of the committee, concluded that it was forestland. Singh and the third member, joint secretary of the Chhattisgarh revenue department, dissented. Off the record, foresters claim it is easy for an experienced forester to recognise what is a forest, but, as a retired dfo said, "We are in a very embarrassing situation. How can we refute the stand taken by the state government?" Tiwari is, however, firm in his stand. He also brings up the question of what can be considered government records and used in court. According to him, the history and preliminary survey report of the orange area unit do indeed constitute government records and prove that the land was considered to have had forests in the past. He says it is significant that in a case brought against Maruti in the subdivisional court in Kathghora by the forest beat guard for illegal felling in December 2002, the court recommended that action be taken in accordance with fca, rather than the land revenue code. Another point he raises is that local information is an important input. The government circular of 1997 that speaks of identifying patches of forest not under the control of the forest department, but would attract the provisions of the fca, specifically mentions the use of local experience and information. He supports the claim of Milan Ram Kaushal, the forest beat guard who has been posted in the area for over 15 years, who has repeatedly said the patch is a forest. It's not just Kaushal. People living in the area are unanimous: the area was forested and the trees are disappearing. Will the wood be mistaken for trees?